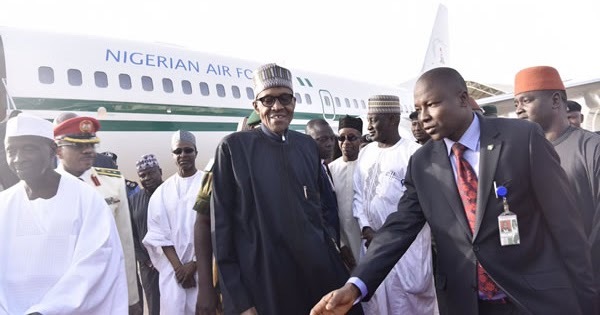 There was near commotion at the commercial wing of the Nnamdi Azikiwe International Airport, Abuja on Saturday as air passengers and workers rushed out in excitement to see President Muhammadu Buhari immediately his aircraft touched down at the tarmac. While many of the passengers waited earnestly to sight the arrival of the President’s jet, workers at the airport, as well as a few other persons at the departure and arrival terminals who had access to the tarmac rushed out to see Buhari’s jet. Hundreds of persons at the facility’s commercial terminals tried to push their way through to the tarmac but were stopped by security officials, in conjunction with officers of the Federal Airports Authority of Nigeria Aviation Security.